Carriage rides on property take about 15 minutes. Heritage Carriage Ride lady receives a long stem rose. If you are looking for a unique way to tour Pigeon Forge, TN, embark upon a Heritage Carriage Ride through Gold Rush Stables. A carriage ride is not only stylish, but it is perfect for getting some alone time with a loved one on your vacation. Whether you are looking for a romantic date idea or just want to take in the ride itself, it's a great way to get to know the beautiful area in an intimate way. 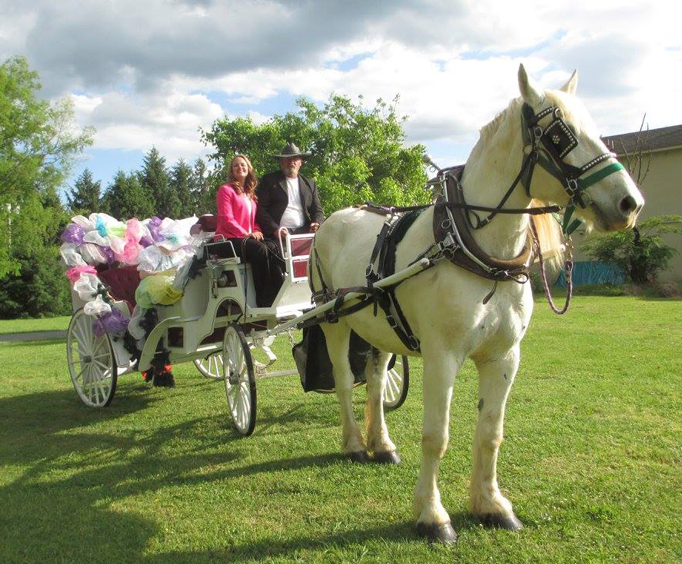 The carriages are horse-drawn, providing an experience that is bound to create lasting memories. You'll be taken along on a ride where you will be able to enjoy the fresh Tennessee air while enjoying a peaceful time. As Gold Rush stables is comprised of an amazing 80 acres, there is plenty to see. 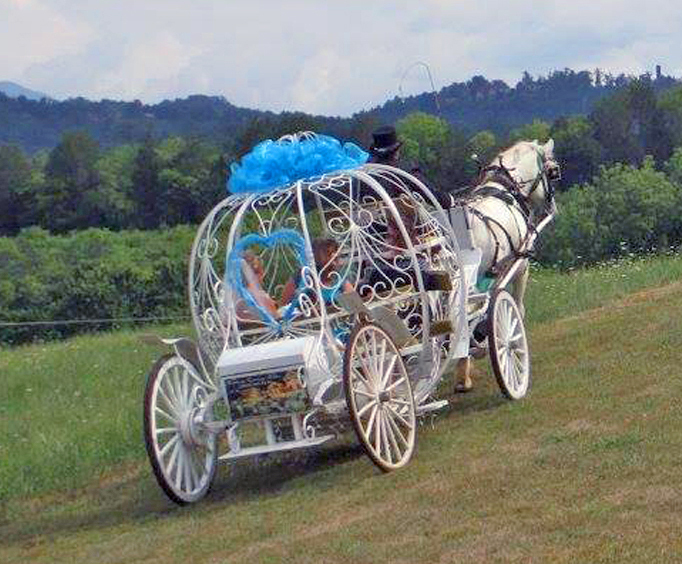 Each woman to ride receives a stemmed rose on the basic carriage ride, which is sure to impress. This special adventure is sure to make your Pigeon Forge vacation unforgettable. 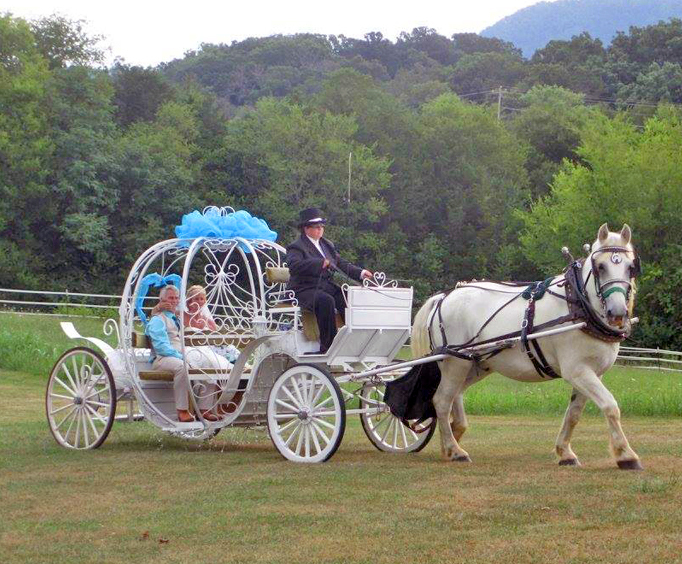 Not only will you be able to experience beautiful sights in Tennessee, but you'll create lasting memories of a perfect afternoon on a horse-drawn carriage. Includes a 15 minute carriage ride. Approximately how long does the Heritage Carriage Rides last? Where does the Heritage Carriage Rides depart from? What sights will actually be visited while on the Heritage Carriage Rides? Is photography / video recording allowed on the Heritage Carriage Rides?